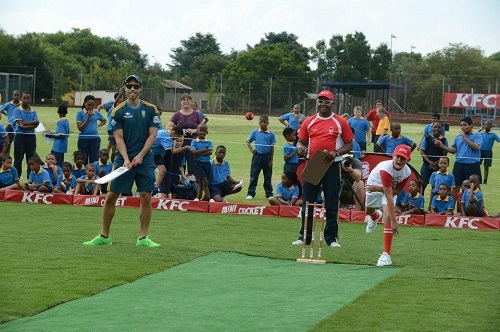 After the Proteas dramatically tasted defeat at the hands of the KFC Mini Cricket team from Laerskool Fleur via the Duckworth Lewis Method, Jabu pulled aside two members of the losing Proteas side to discuss the opposition, the future stars and their own seasons. 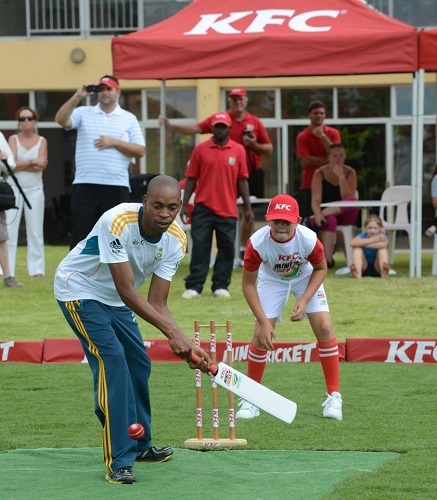 Jabu (ATJ): Having played against some of the great bowlers in world cricket, how did it compare today facing the KFC Mini Cricket kids? Farhaan Behardien (FB): Look it was tough and fierce. The young bowler Mikaylen Naidoo bowled with scary pace, I really struggled to keep it out and was struggling to even see it. These kids are talented and will definitely be a force to be reckoned with. ATJ: Do you think any of the kids will turn out for the Titans soon? FB: I think we could definitely have some record signings soon. 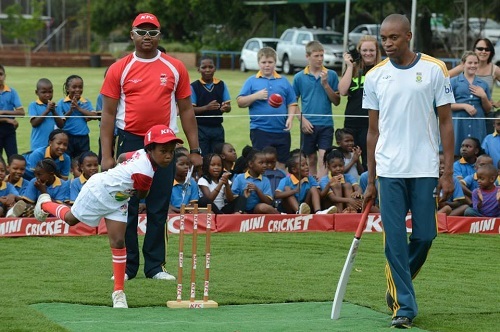 Kagiso, the captain of the KFC Mini Cricket side, is a great leader and is a very solid opening batsmen too. ATJ: How was the pressure getting to you and the boys out there? FB: Man, the crowd was intense and it really got to our fielding. Some of our better fielders normally were under immense pressure and we missed a few opportunities. ATJ: After a poor batting performance, how will that impact on your RAM Slam form? FB: I need to put this one behind and buckle down and work on this going forward I hope to be able to improve my form. ATJ: Thanks Farhaan! Over to you Aaron, you have bowled against Bismarck, Dhoni and even bigger hitters, how tough was today for you? Aaron Phangiso (AP): Today was very tough, it was disappointing, but they used the crowd and the homeground advantage to win the game. ATJ: What about the pitch, it looked to have a lot of grass on it? AP: Yeh, there was not much turn. They definitely prepared the pitch in a way that would serve their bowling line up and they played to the plan perfectly. ATJ: We noticed that you opened the batting, are you trying to send a message to Andrew Hudson and the other selectors? AP: I have been working on my batting. I managed to score 6 not out at a strike rate of 100, so I think I did my job quite well. 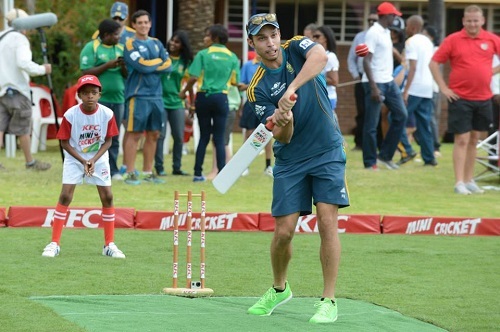 I think I could definitely open for the Proteas in the next KFC match. ATJ: Having bounced Bismarck the other day, who would you have liked to bowl a bouncer at today? AP: Definitely not AB or Quinton de Kock, but I think I would not mind bowling one at Chris Morris. ATJ: Thanks so much for the chat gents and hard lines on the defeat.